Thinking Loud...: His first sports day !! His first sports day !! My little boy in red, all set with delight. To make it a perfect & fit. Made me talk to him and explore. 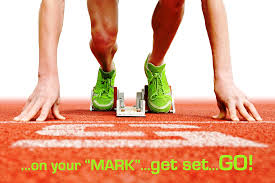 On your marks , Get set and go!! Which was all evident on my face.